Richard Blanco, the son of Cuban exiles, announced as inaugural poet. 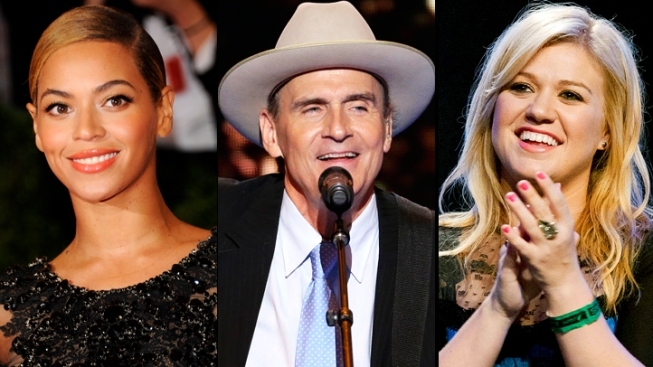 Beyonce, James Taylor and Kelly Clarkson are slated to perform at President Obama's inauguration. Beyonce will sing the national anthem at President Barack Obama's inauguration ceremony. The committee planning the Jan. 21 event also announced Wednesday that Kelly Clarkson will perform "My Country 'Tis of Thee" and James Taylor will sing "America the Beautiful" at the swearing-in ceremony on the Capitol's west front. For Obama's first inauguration four years ago, Aretha Franklin sang "My Country 'Tis of Thee" and violinist Itzhak Perlman and cellist Yo-Yo Ma performed a piece by composer John Williams. Beyonce sang a version of Etta James' "At Last" later that evening at an inaugural ball for the newly sworn in president and his wife, first lady Michelle Obama's, first dance. This year's inaugural planners also announced that Richard Blanco, the son of Cuban exiles, is the 2013 inaugural poet. He joins the ranks of Maya Angelou and Robert Frost to have served in that capacity. Blanco's works explore his family's exile from their native country and "the intersection of his cultural identities as a Cuban-American gay man," the inaugural planners said.